Doncaster Rovers and Club Doncaster Foundation have become the latest sporting organisations to align itself with the Twinning Project. They have joined 31 other Premier League and English Football League clubs in agreeing to be part of the programme, which sees these sporting organisations ‘twinned’ with their local prisons to help tackle the high UK reoffending rate. Launched on October 31, 2018, the Twinning Project aims to bring together professional football clubs and prisons across the UK to use football as a catalyst for change to provide real opportunities to better prepare prisoners for release, find employment and reduce reoffending, which is a huge cost to the country and local communities. Through the initiative, the clubs and other sporting bodies will work with PE officers from the Prison Service to deliver coaching, stewarding, lifestyle skills, and other employability-based qualifications to prisoners to help them prepare for release. Additionally, the PGMOL will deliver refereeing courses. These qualifications will provide a vital route to paid employment which is proven as a key factor in reducing reoffending and helping prisoners to rebuild their lives. In recognition of the huge and positive response to the Twinning Project from the prisons, HM Prison & Probation Service has mandated that all employability programmes between football clubs and prisons will become part of the Twinning Project. Several clubs already have valuable programmes with prisons in place, which will now be incorporated into the programme. 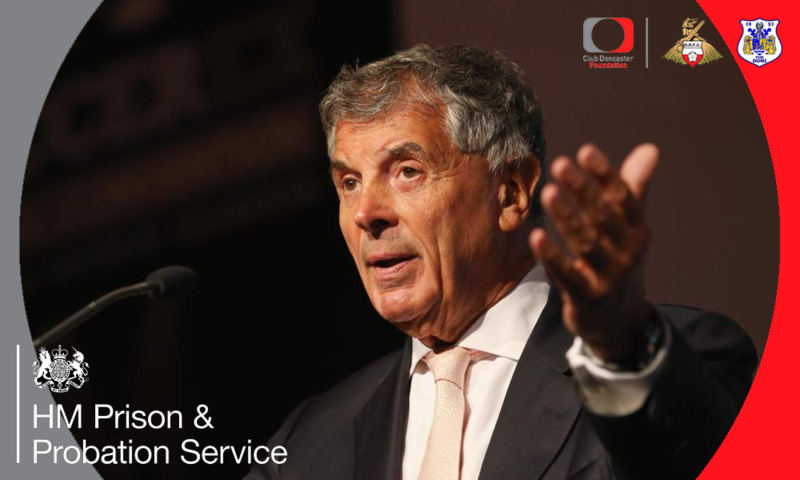 David Dein MBE, former Vice Chairman of Arsenal Football Club and the Football Association, and founder of the Twinning Project commented: “Since its launch, the Twinning Project has seen huge interest and enthusiasm from across the UK football family and Prison Service. "We have also had interest from international clubs and prisons, as well as other sporting organisations, who wish to replicate what we are doing. It is testament to the vision and purpose of the Twinning Project that such a large group of football clubs have agreed to participate in trying to tackle a difficult problem in our society. “Among the first 32 clubs, a number of their Community Departments are already doing great work with their local prisons while others will be starting for the first time."